Home » Are You Looking to Get Married? …they are your garments and you are their garments” (Surah Al Baqarah 2:187). The relationship between the spouses is the most amazing of all human relations. However unfortunately today, people are avoiding or delaying marriage either by pushing it down their priority list or by wasting years and years simply in search of their so called ideal “Mr or Miss Right” which leads to lot of Fitnah and corruption in society and hence is against the teachings of Islam. A person who possesses the means to marry (i.e. he is able to work etc. to support a wife and children) and does not marry then he is not from amongst us (i.e. the believers). On the other hand, there are people who want to get married but they just don’t know where to turn to for practical advise and help. This is where HICC comes as a help. HICC realizes this issue very well and hence provides Help to brothers and sisters along strict Islamic guidelines to find their life partners. 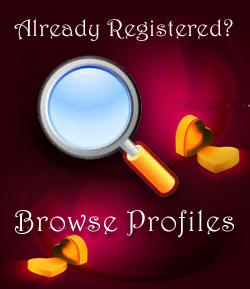 We have a dedicated section where anyone looking to get married, one approved and authorized, can browse profiles and contact administrator to initiate the process of communication and meeting at the centre according to Islamic codes.